TheAllandale drain improvement project is in the news today. YNN reports that the project has exceeded the original budget once again and the city council is being asked to approve an additional $223,607 to complete the work. 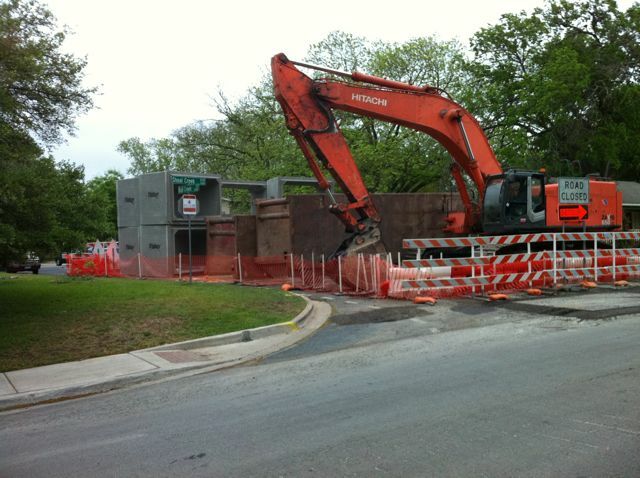 In this report, the contractor, Texas Sterling Construction, has asked for additional money seven different times since the project began for things like extra signs, additional water line work, paving, and more totaling $500,000. The latest request is to cover the costs to replace nearly two miles of curb along the roads where the drainage work has occurred. It is hard to believe this was not considered in the original plan. The council is expected to vote on the extra funds at this Thursday's council meeting. The reporter talked with Allandale resident Donovan Miller. Click here to read and/or view the report.